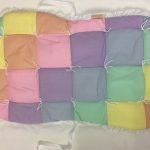 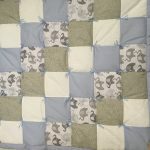 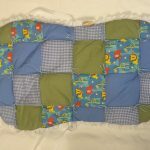 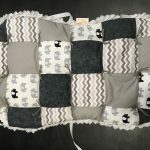 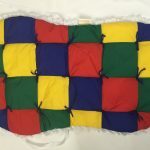 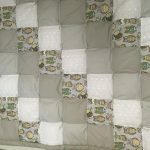 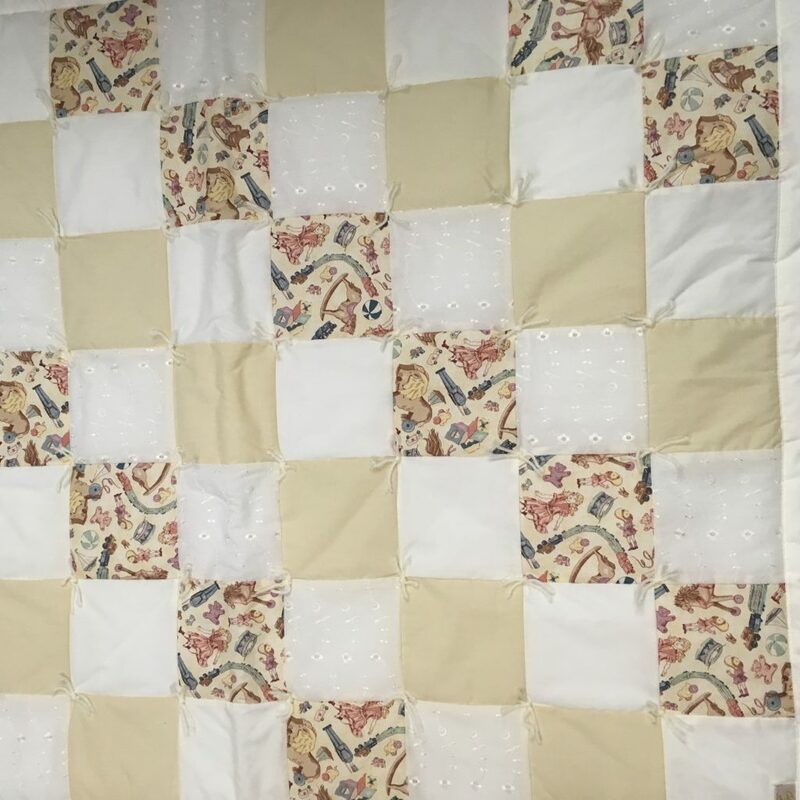 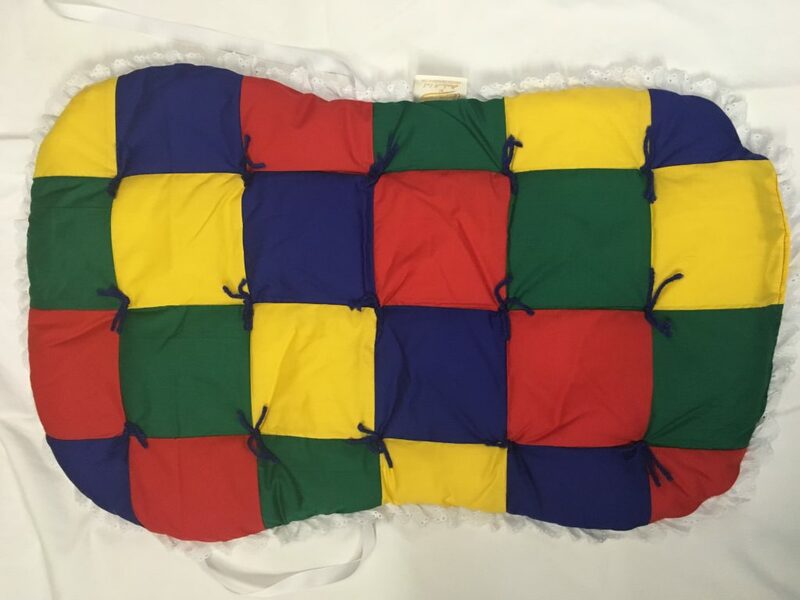 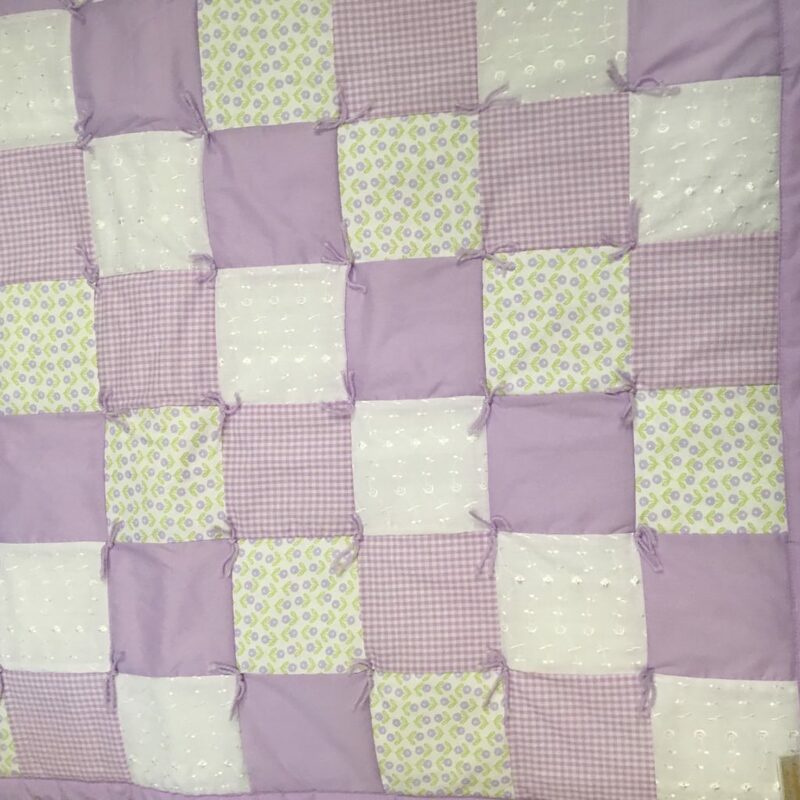 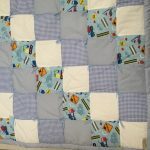 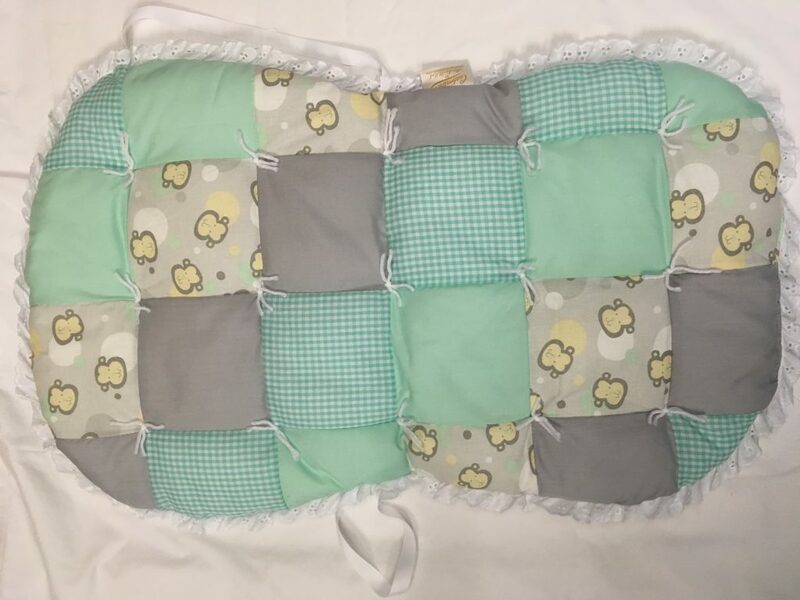 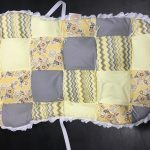 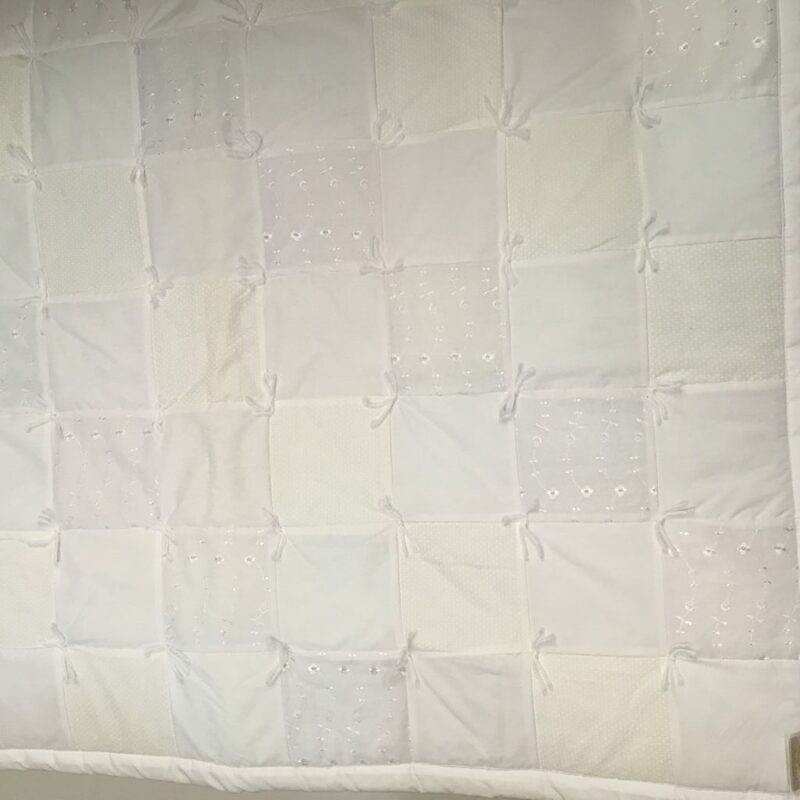 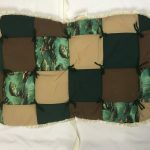 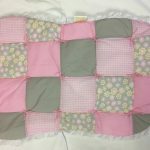 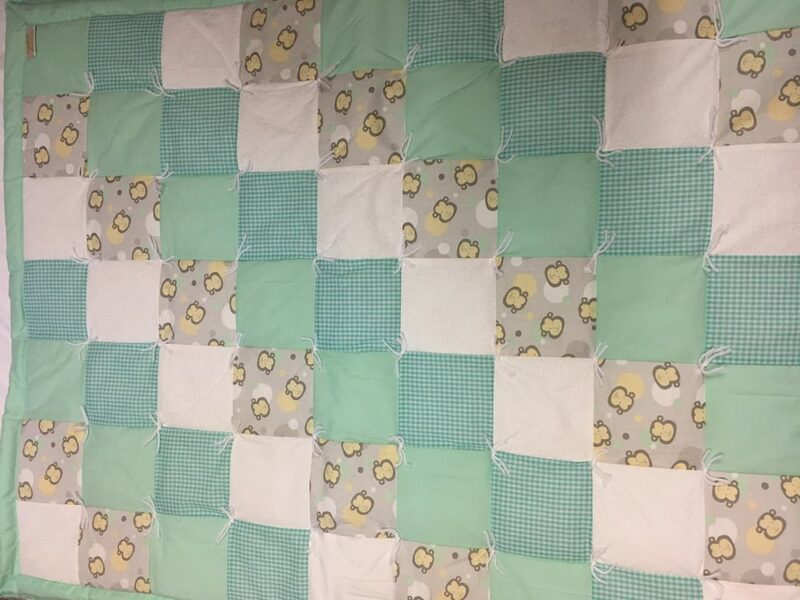 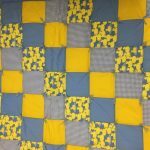 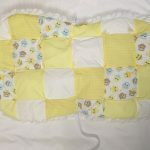 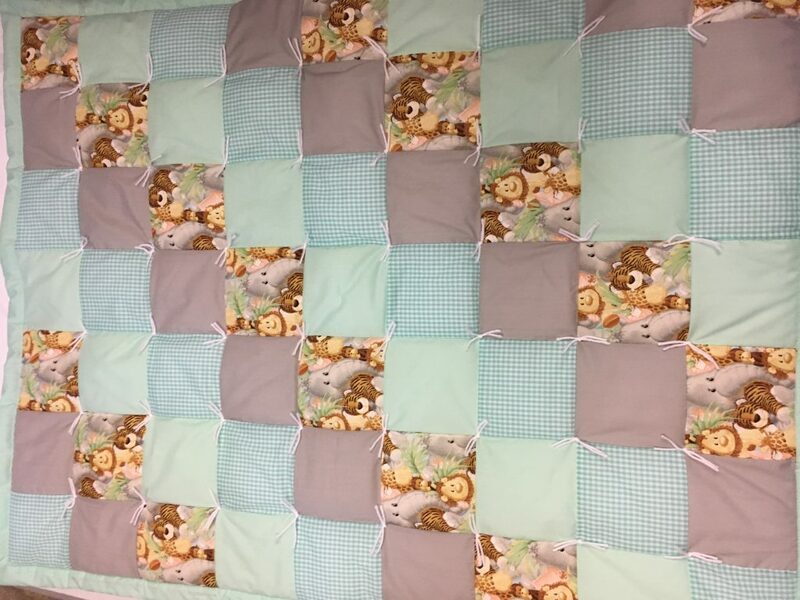 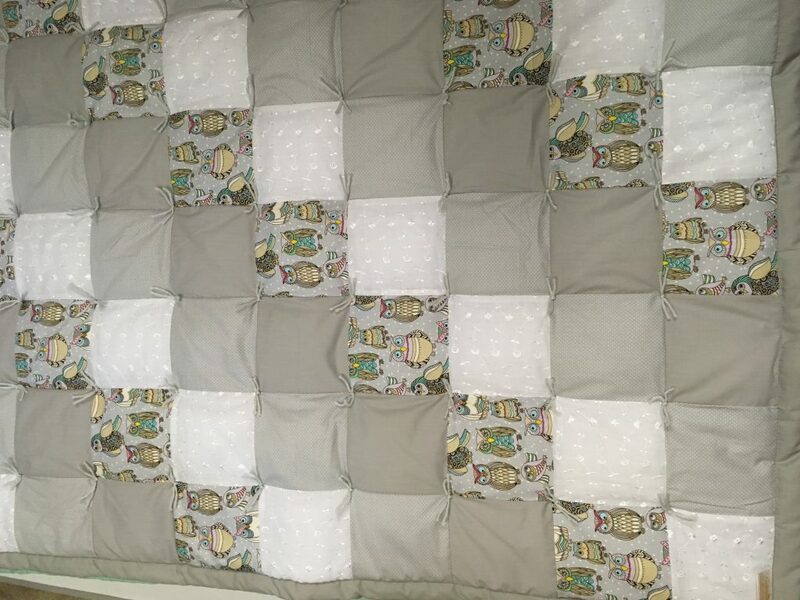 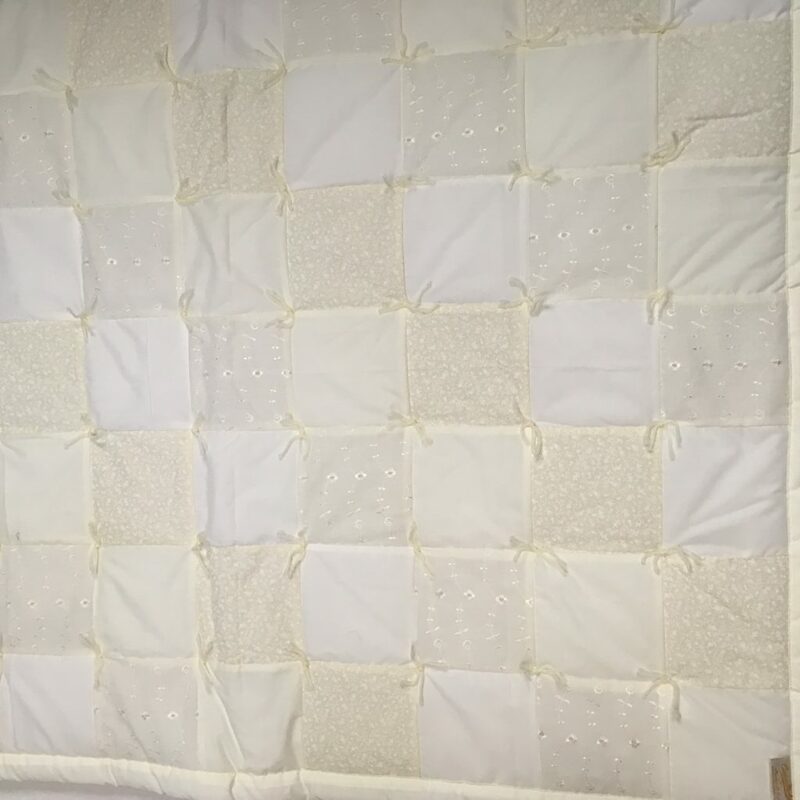 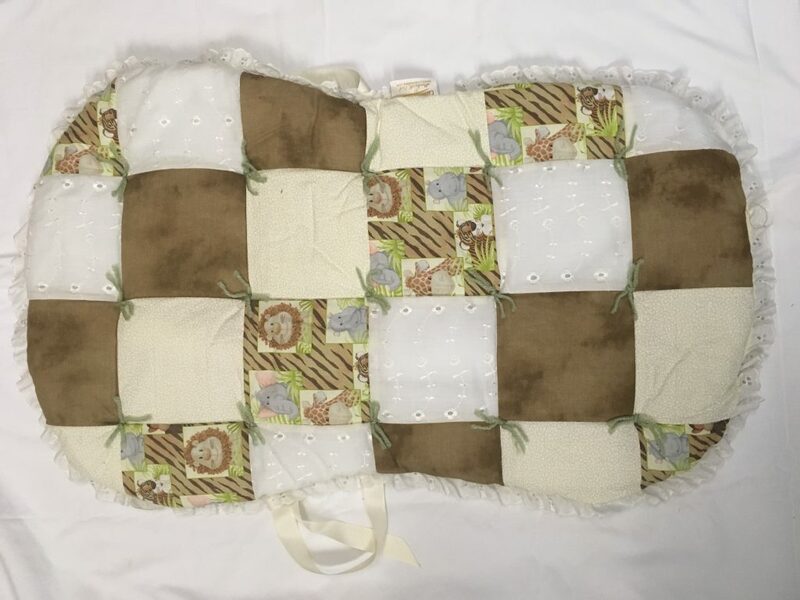 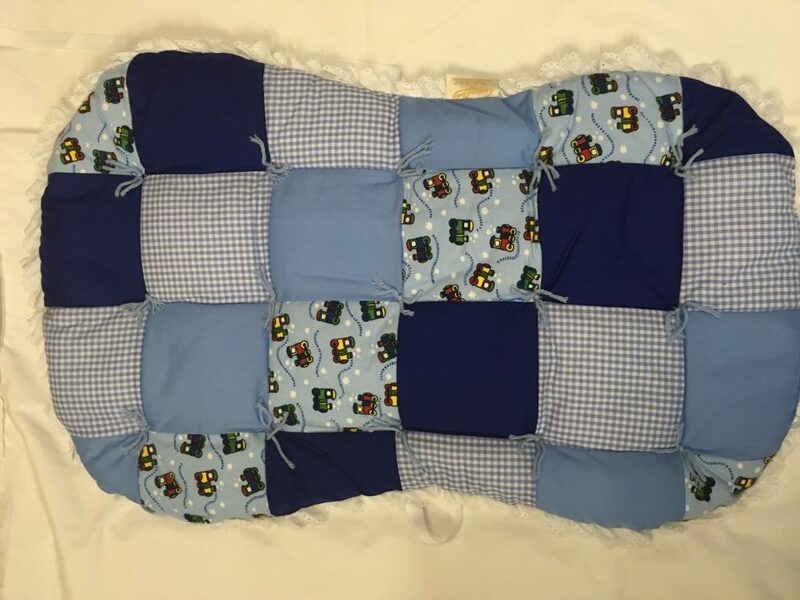 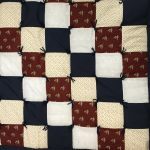 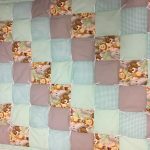 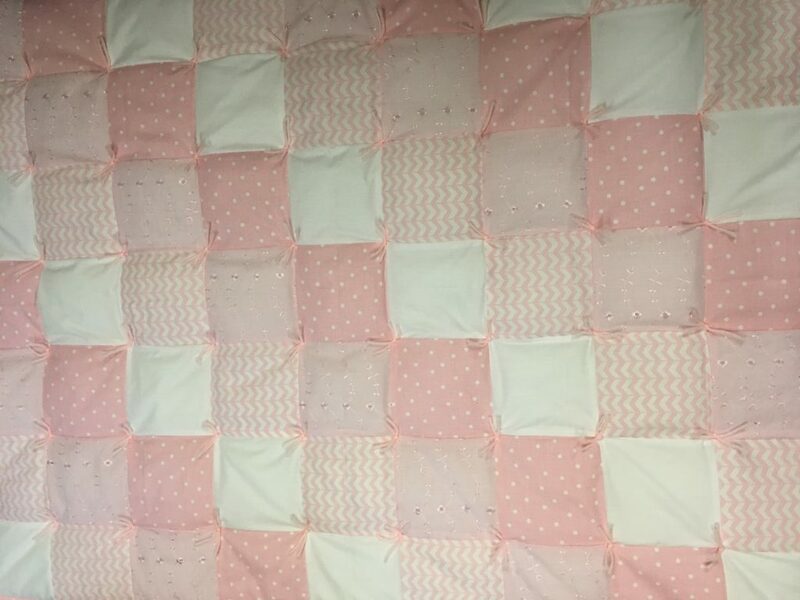 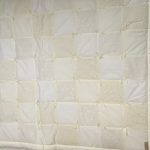 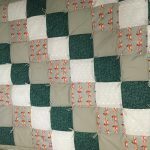 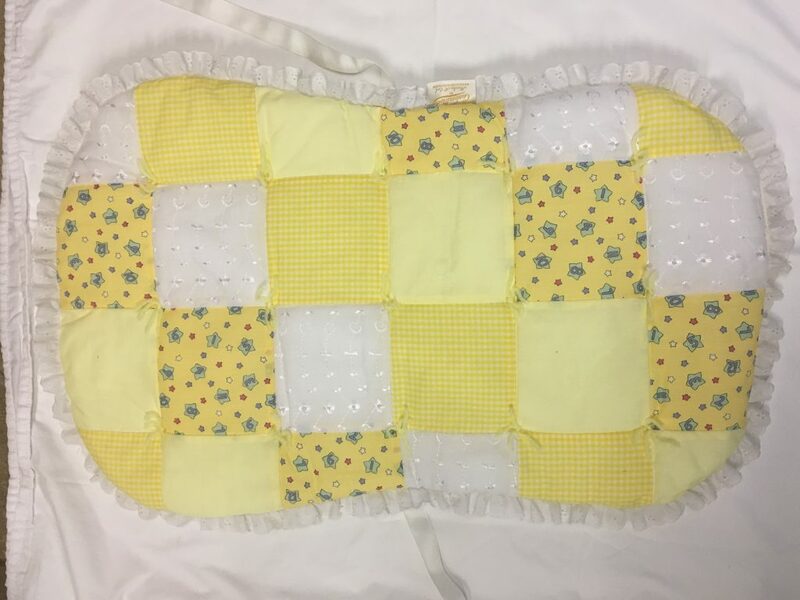 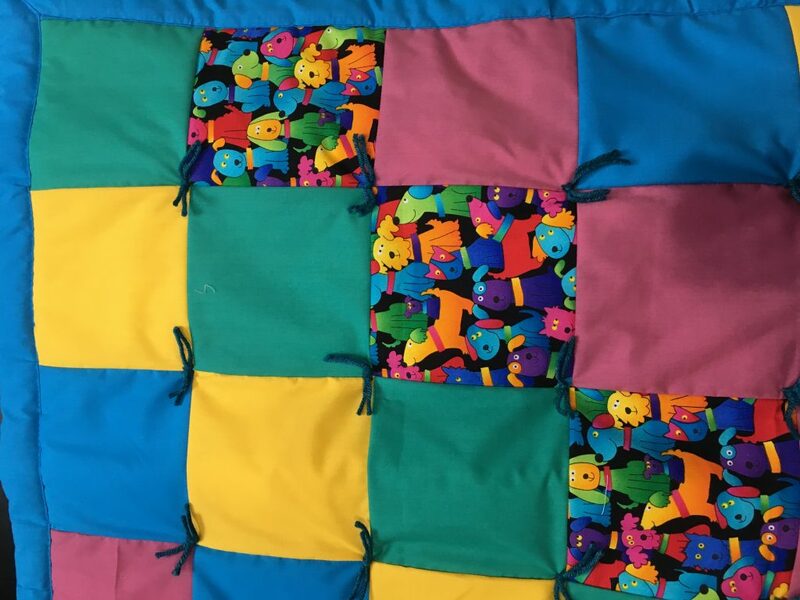 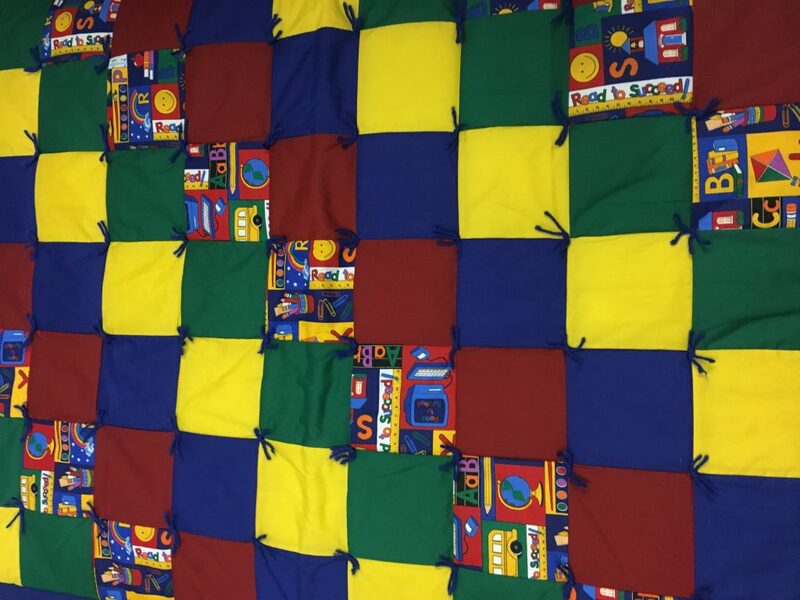 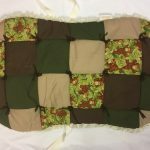 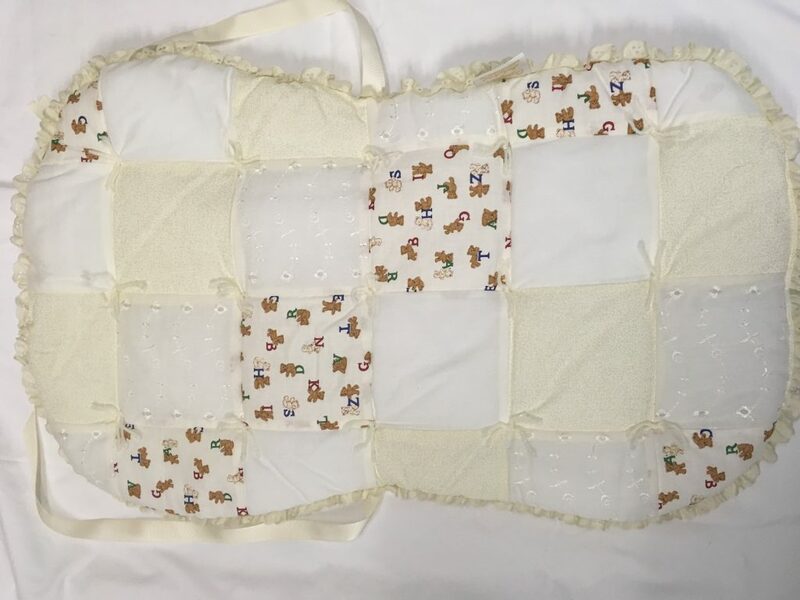 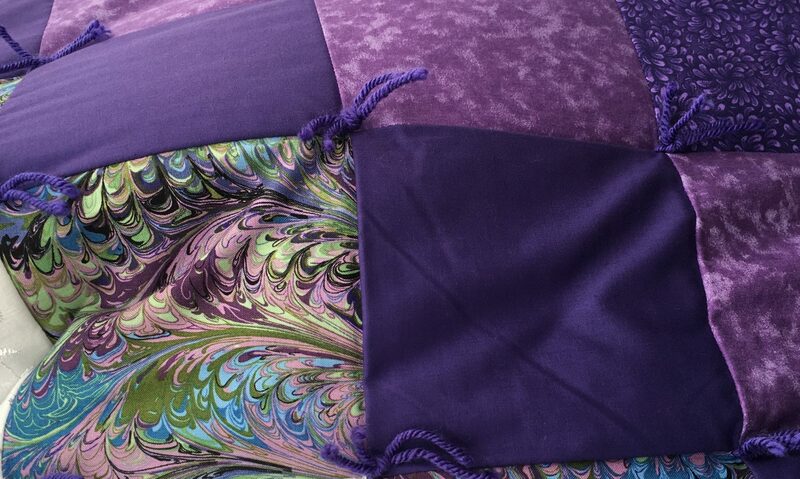 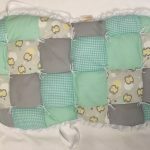 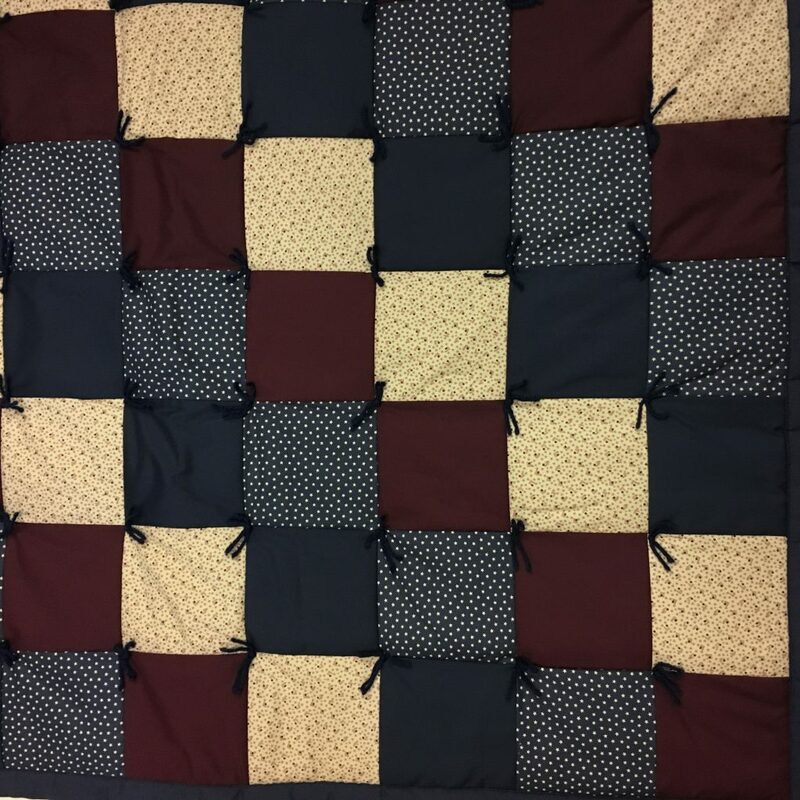 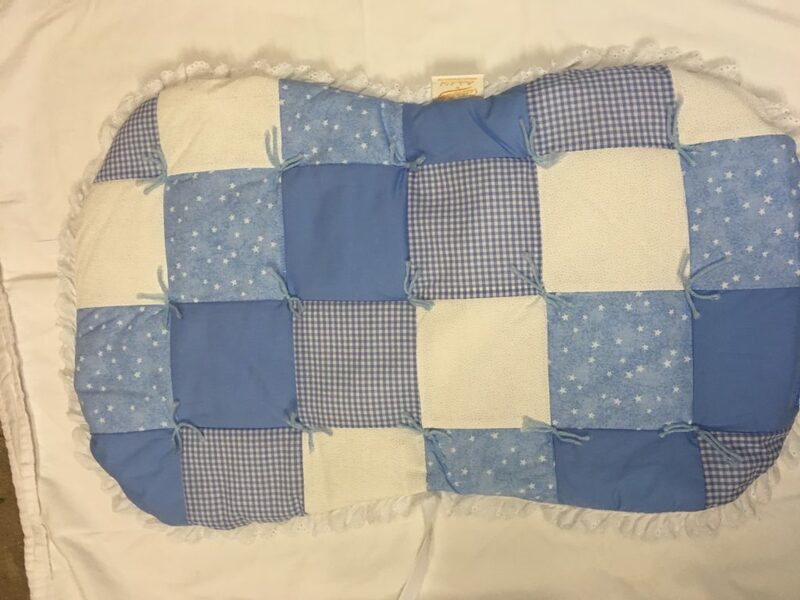 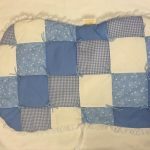 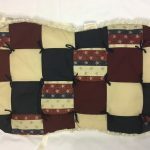 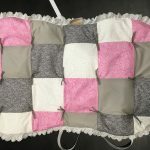 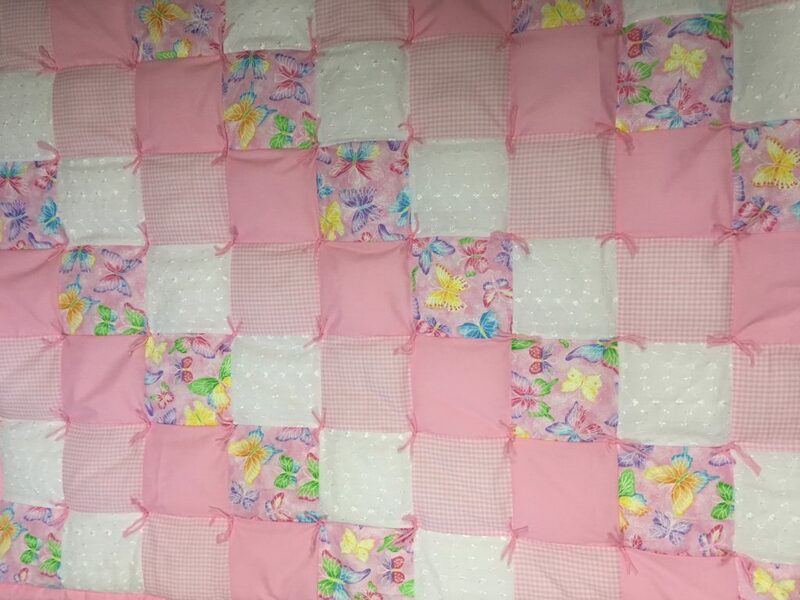 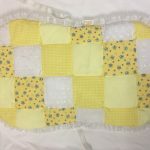 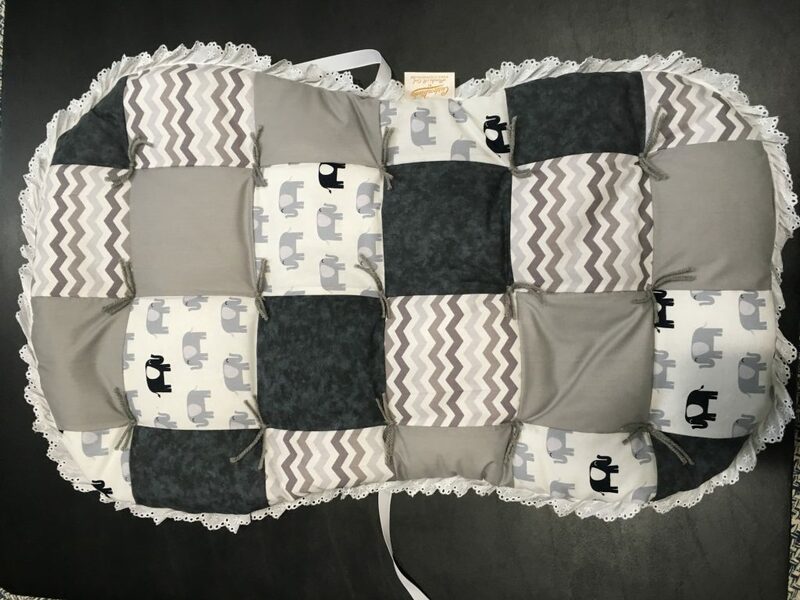 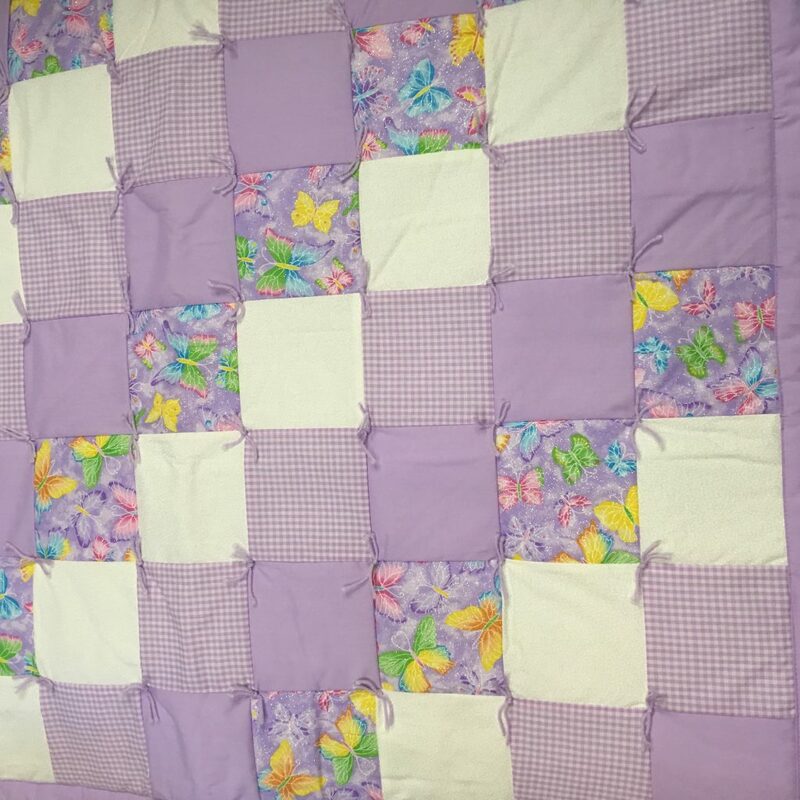 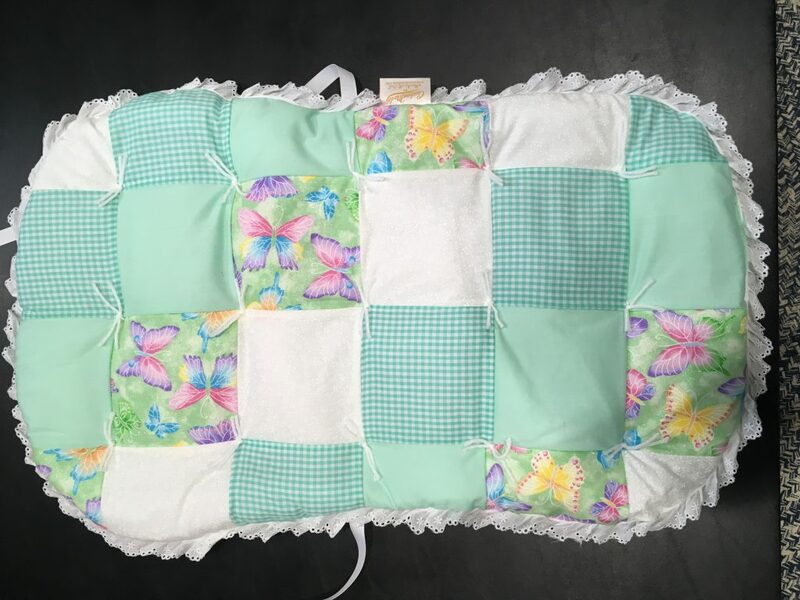 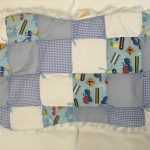 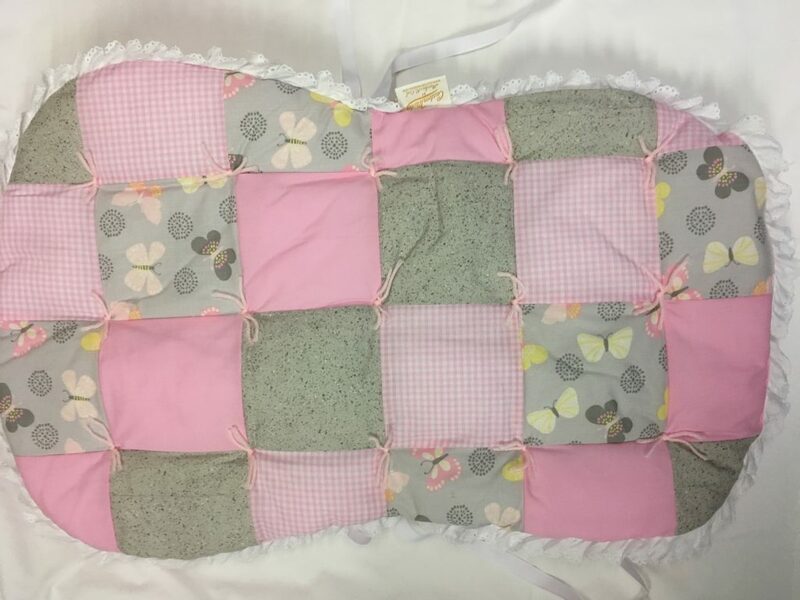 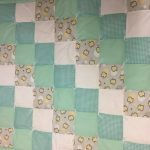 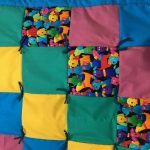 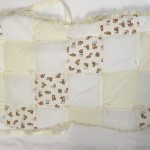 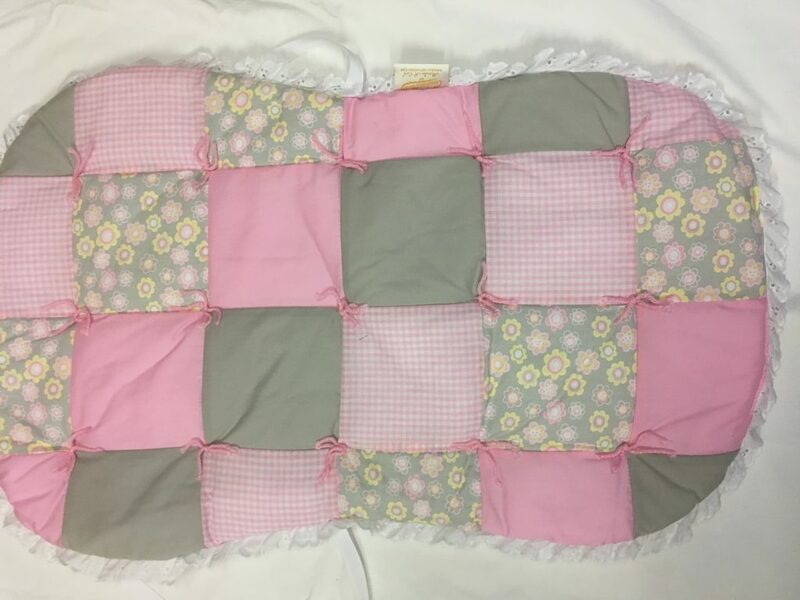 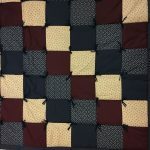 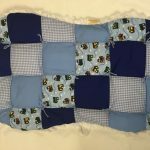 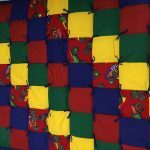 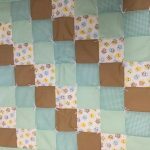 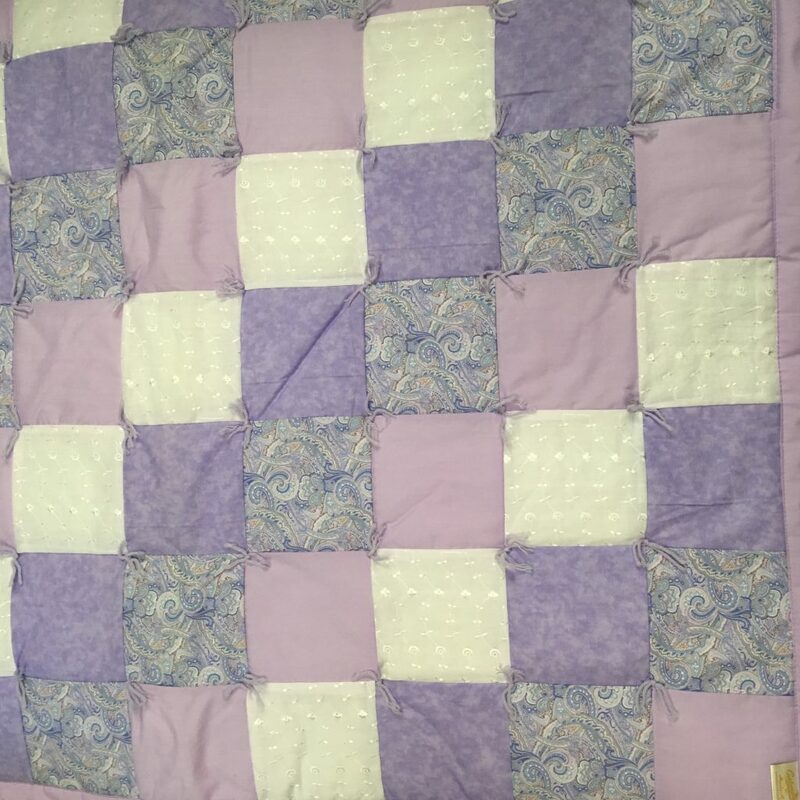 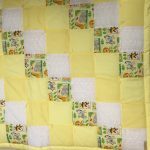 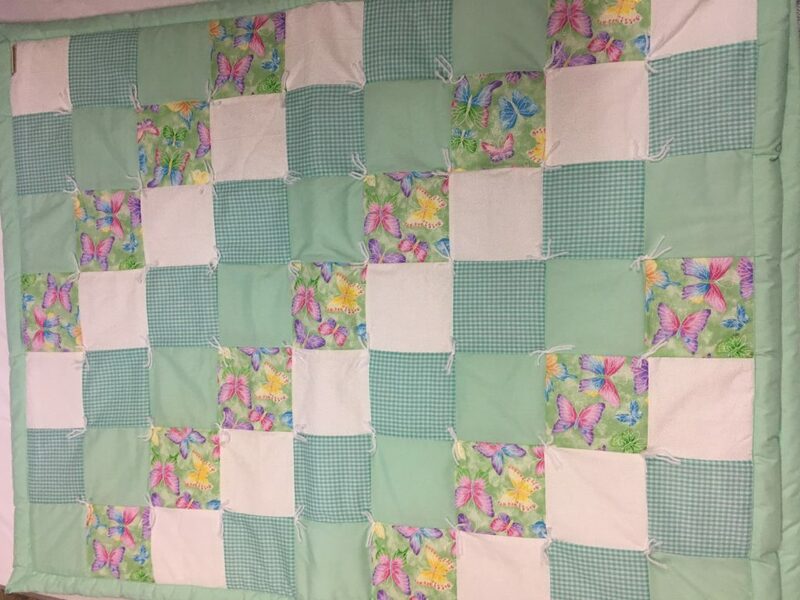 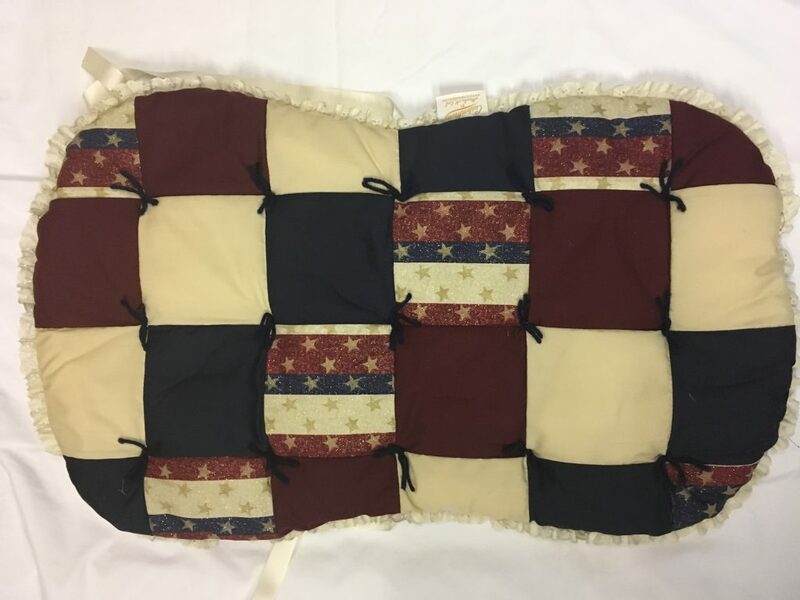 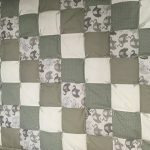 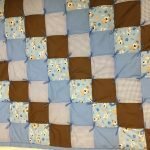 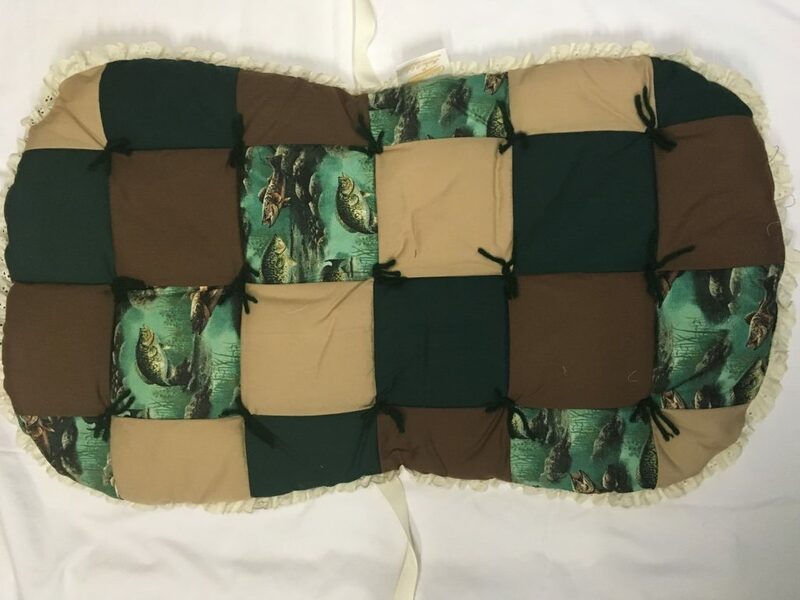 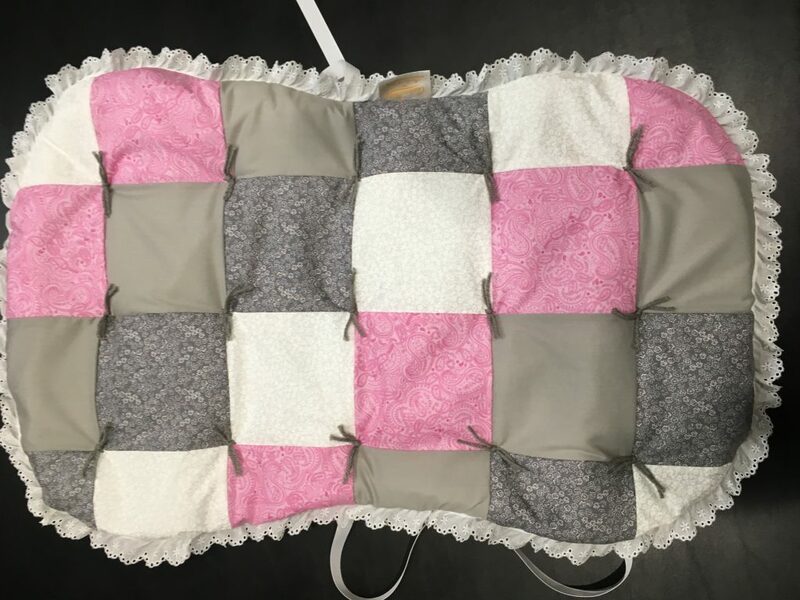 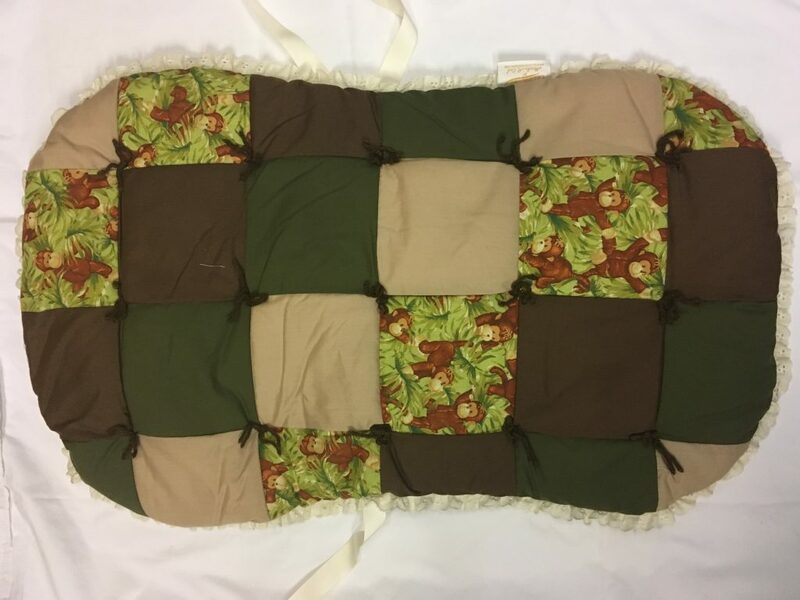 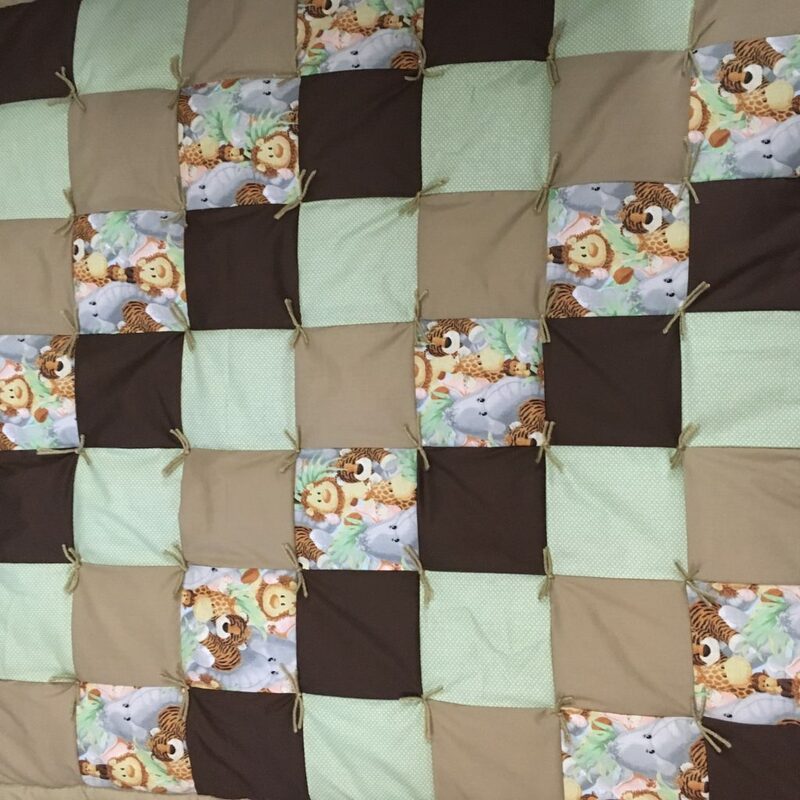 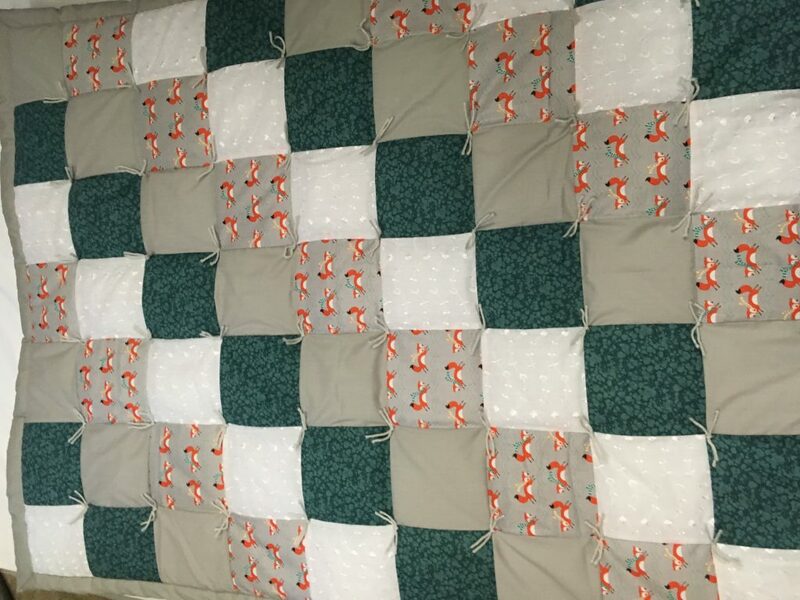 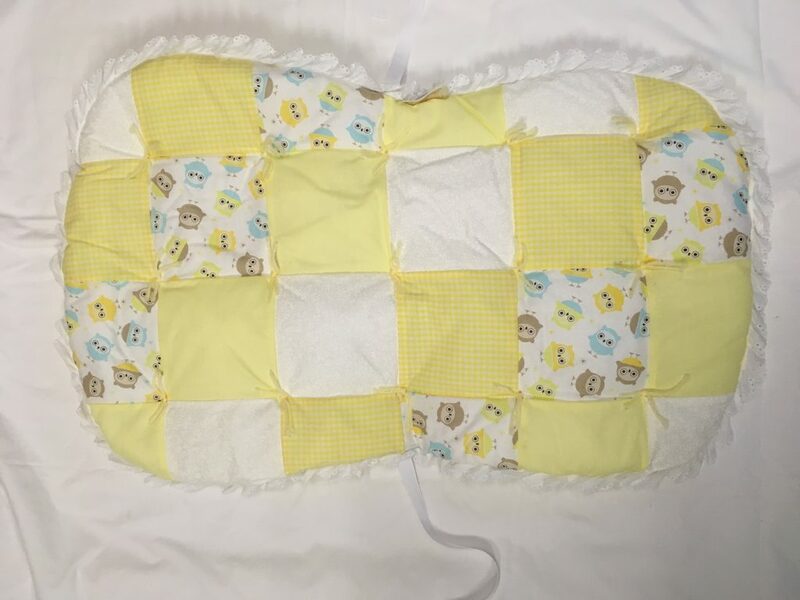 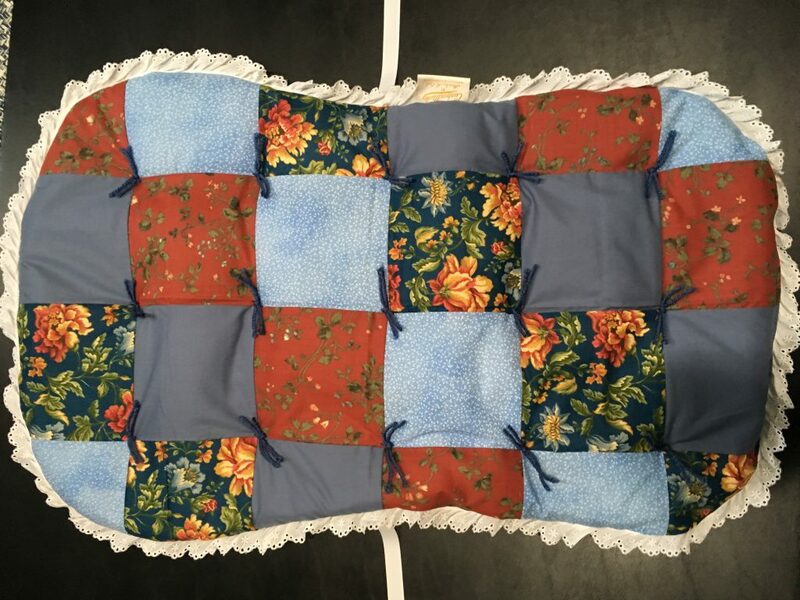 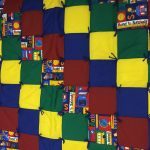 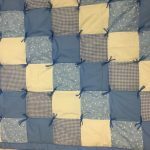 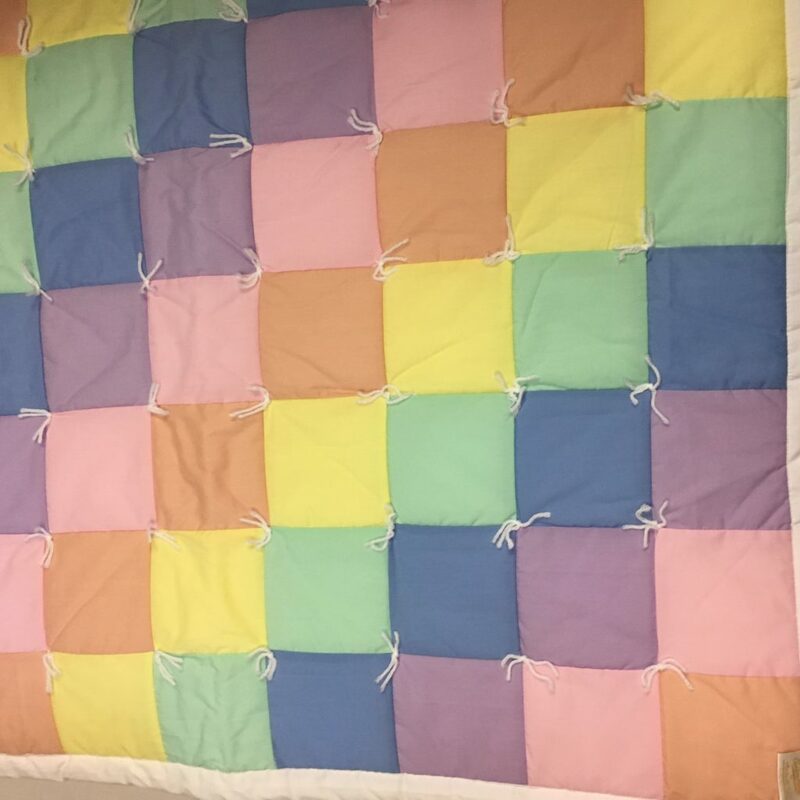 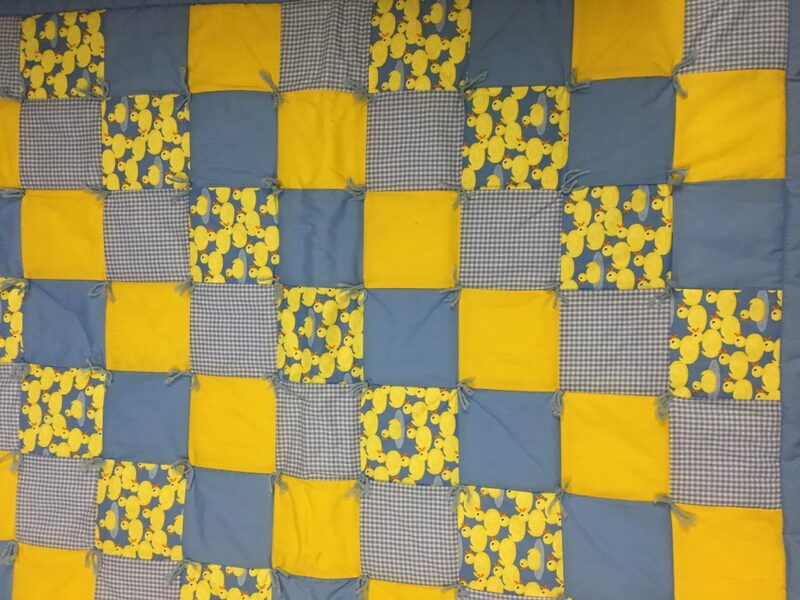 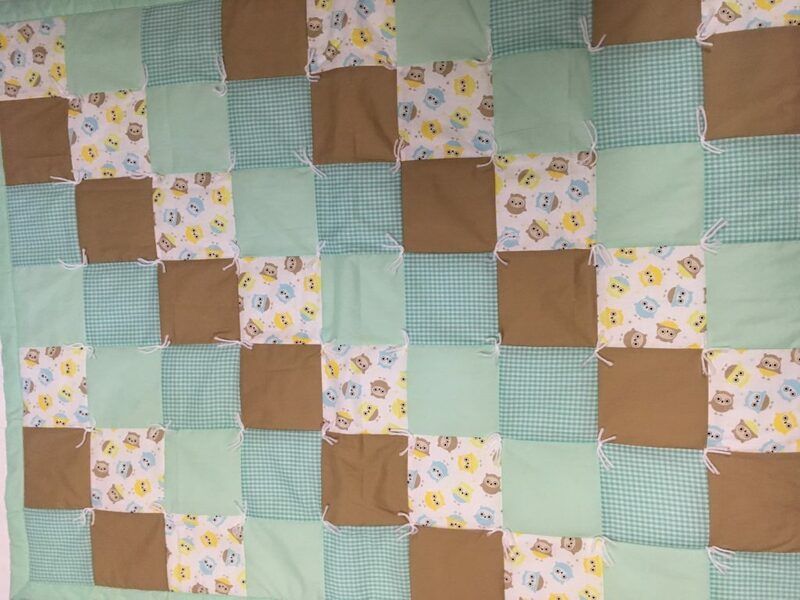 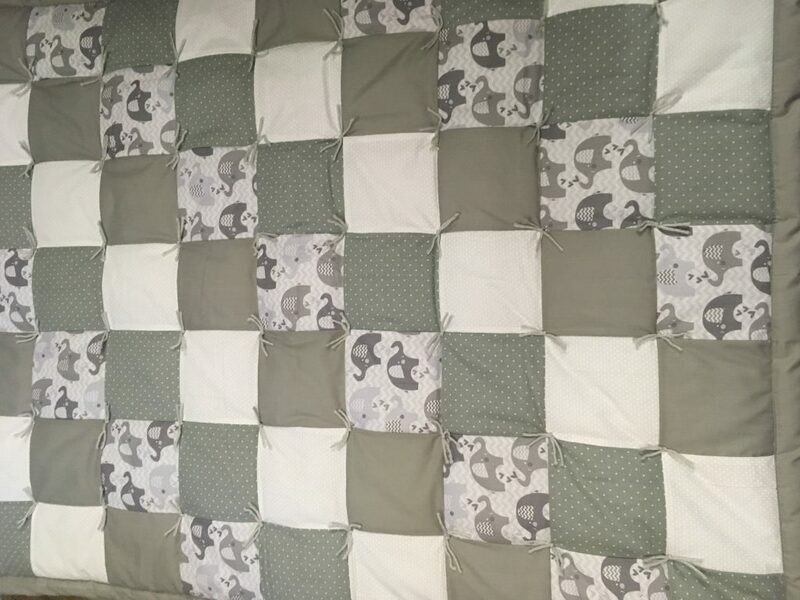 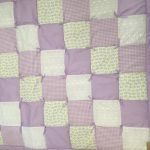 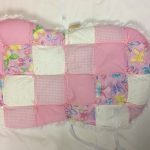 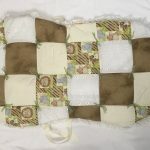 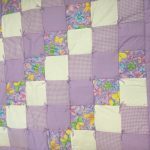 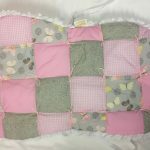 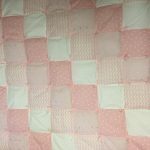 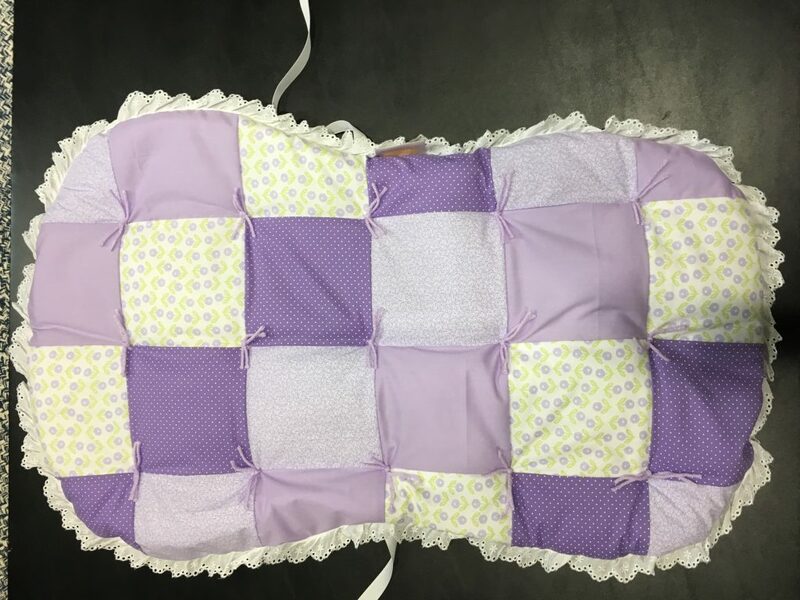 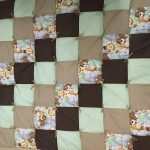 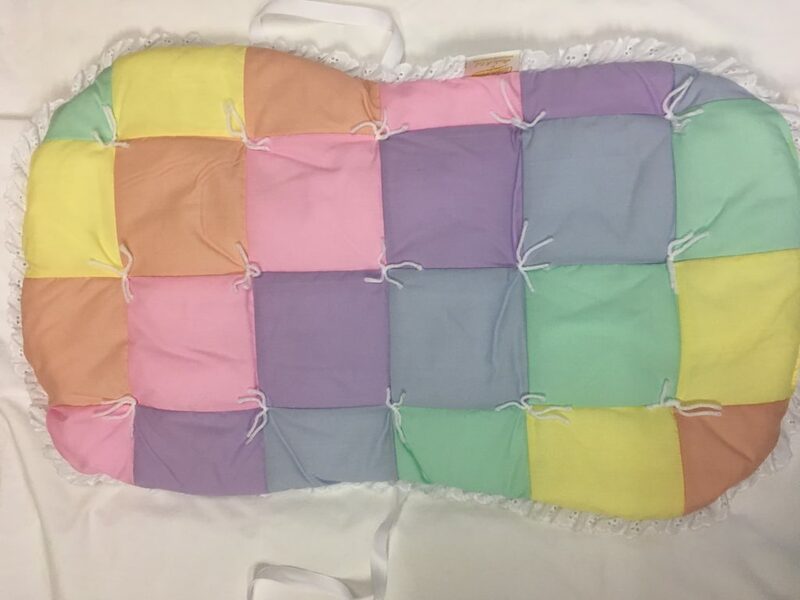 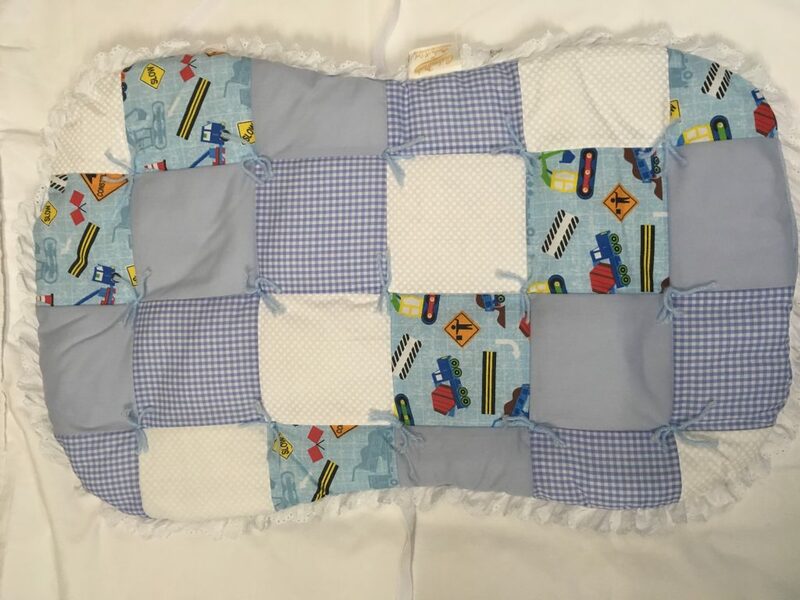 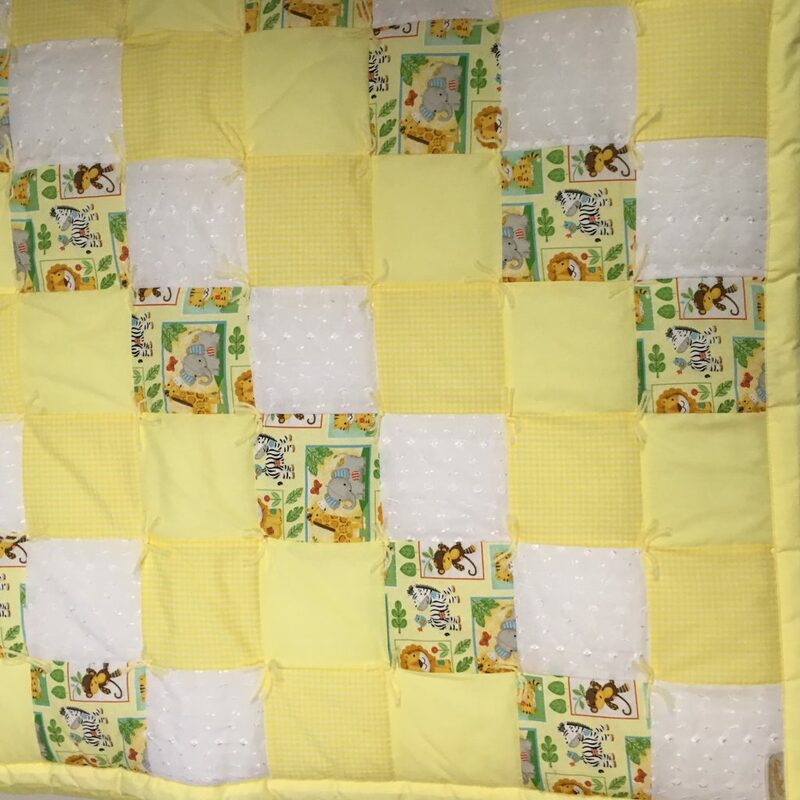 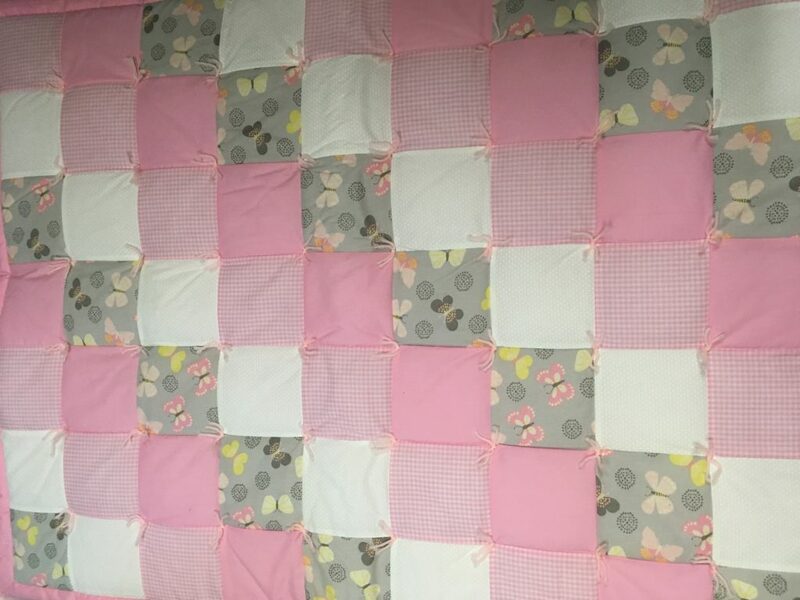 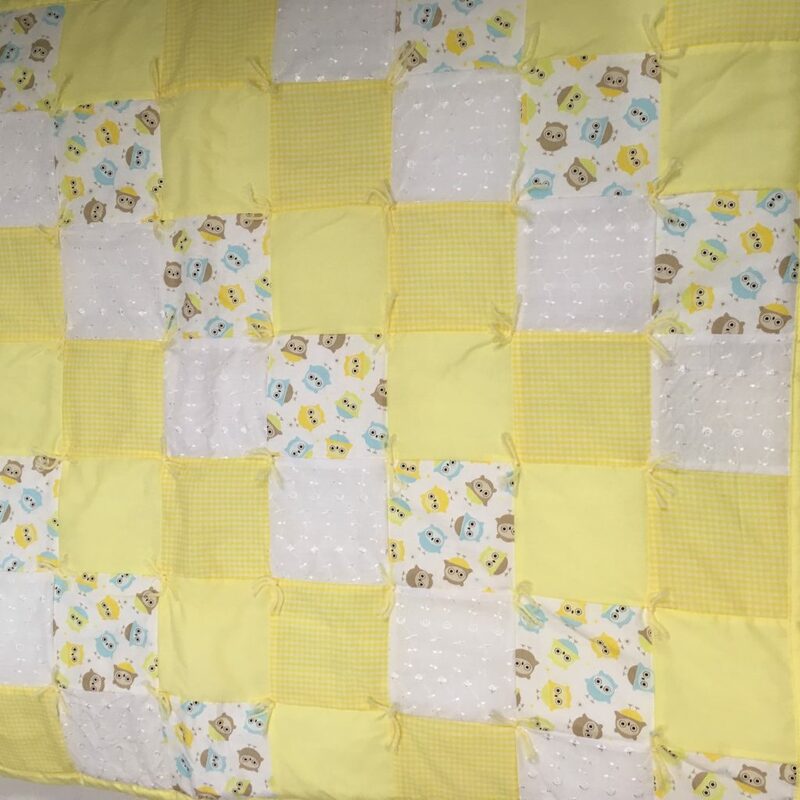 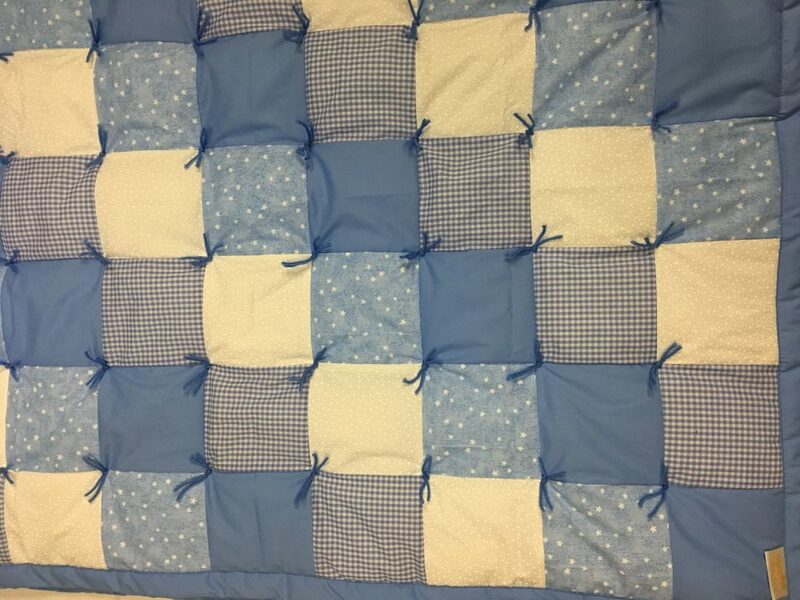 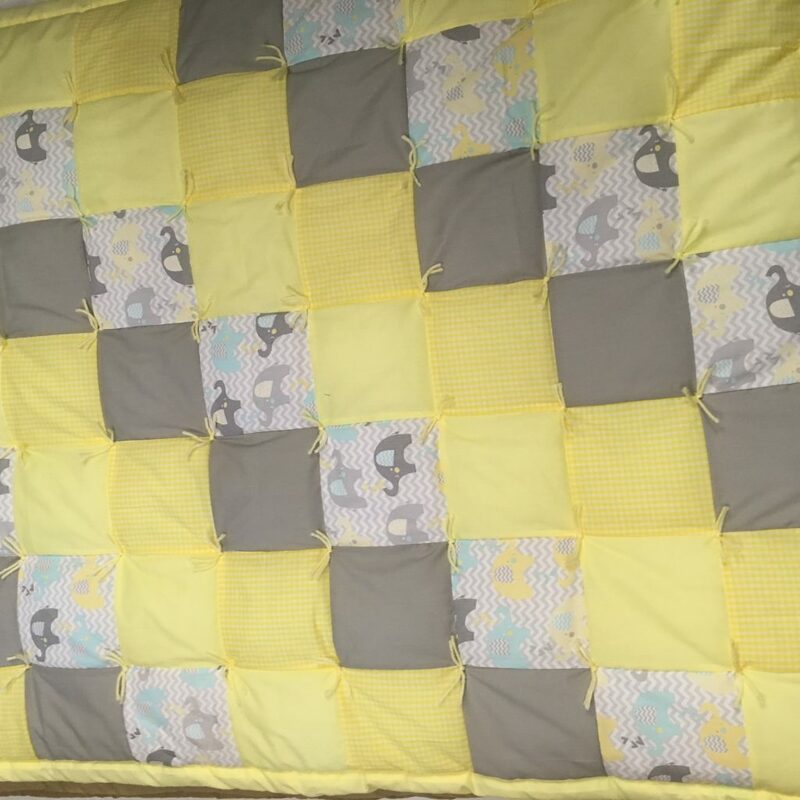 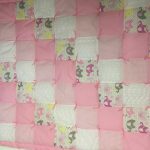 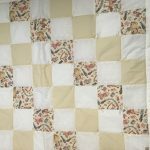 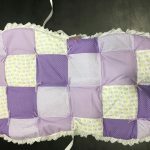 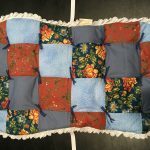 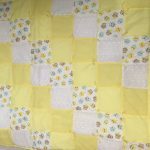 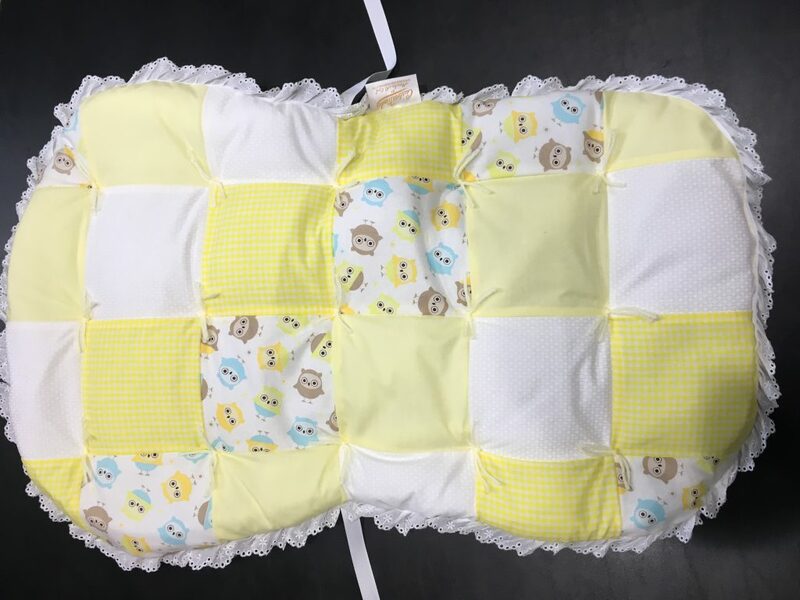 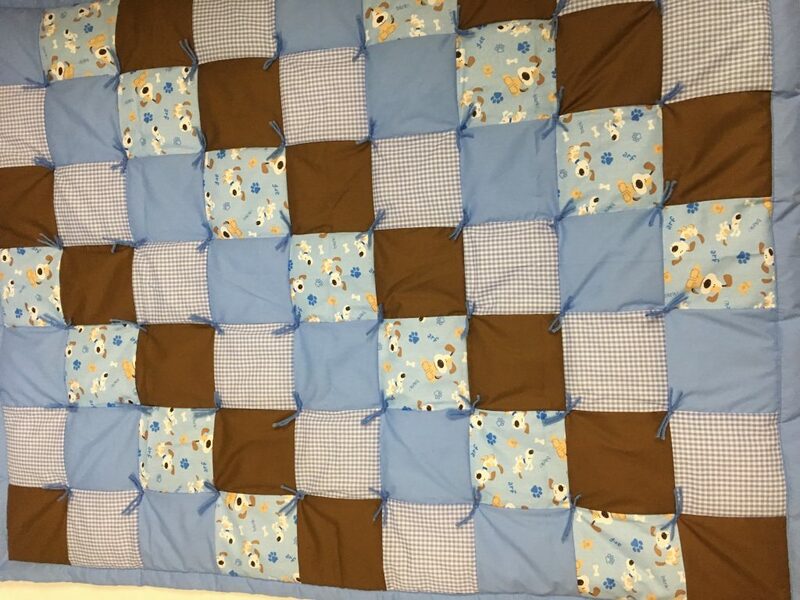 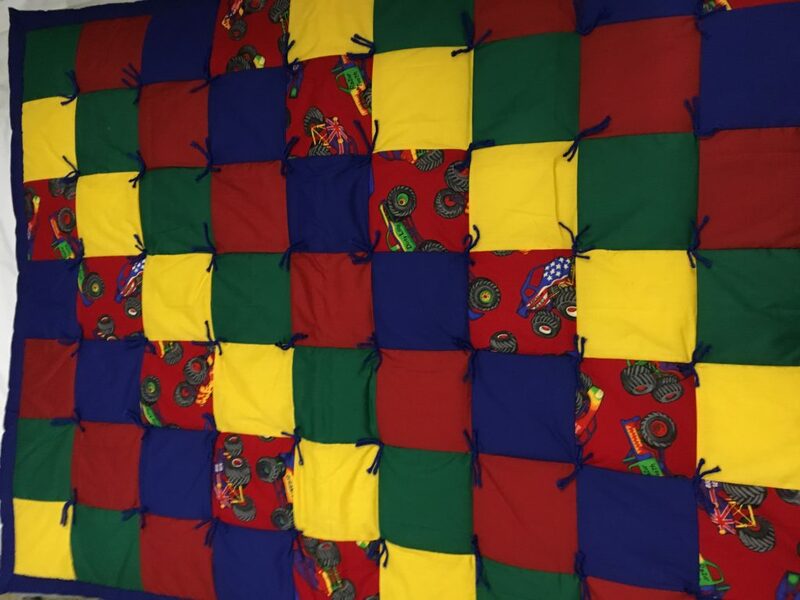 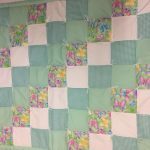 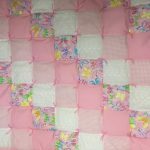 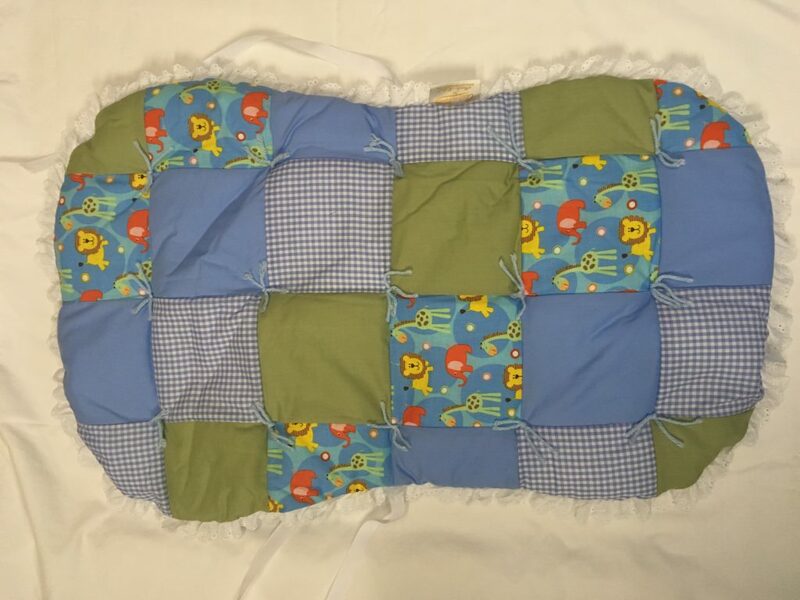 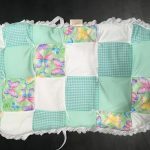 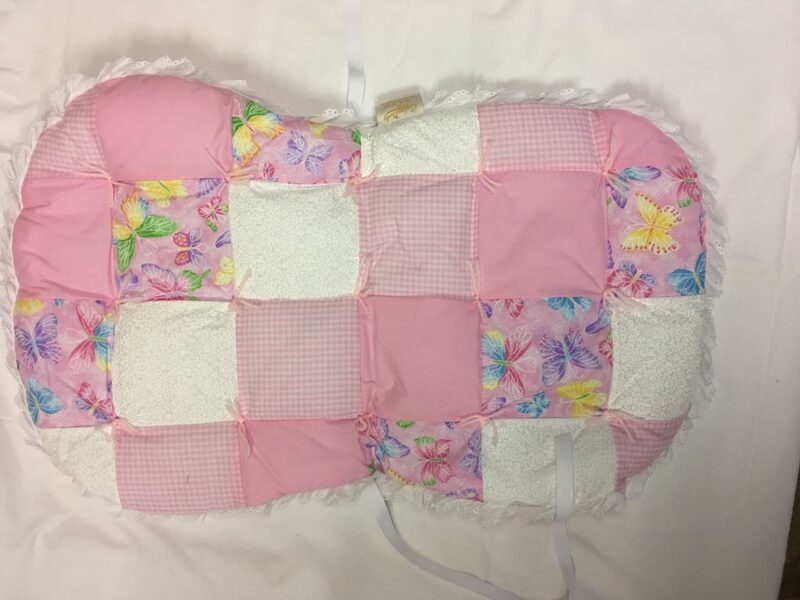 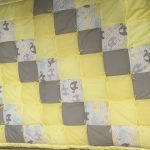 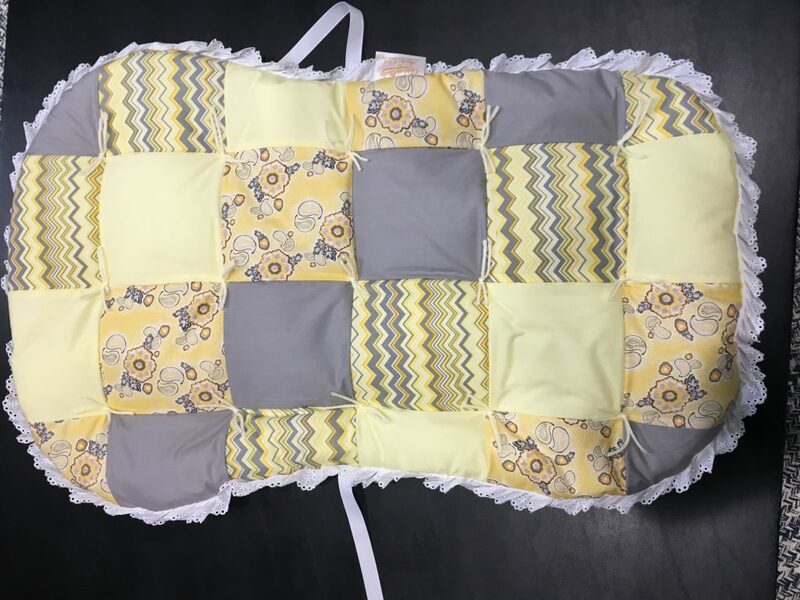 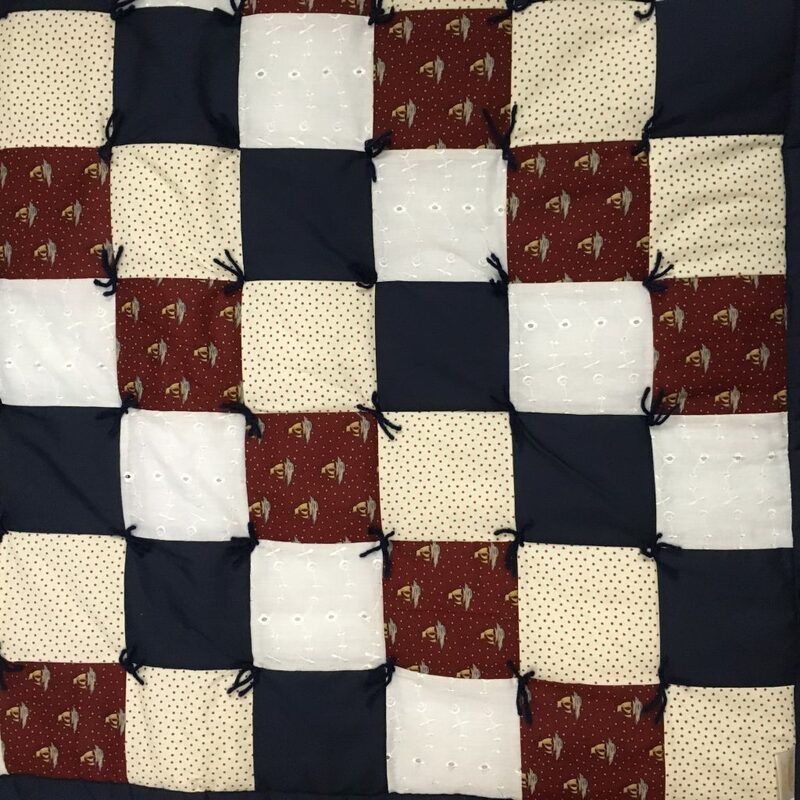 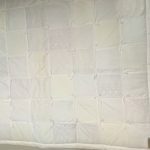 All baby quilts are made of cotton poly blend patchwork tops with solid backs and yarn tied. 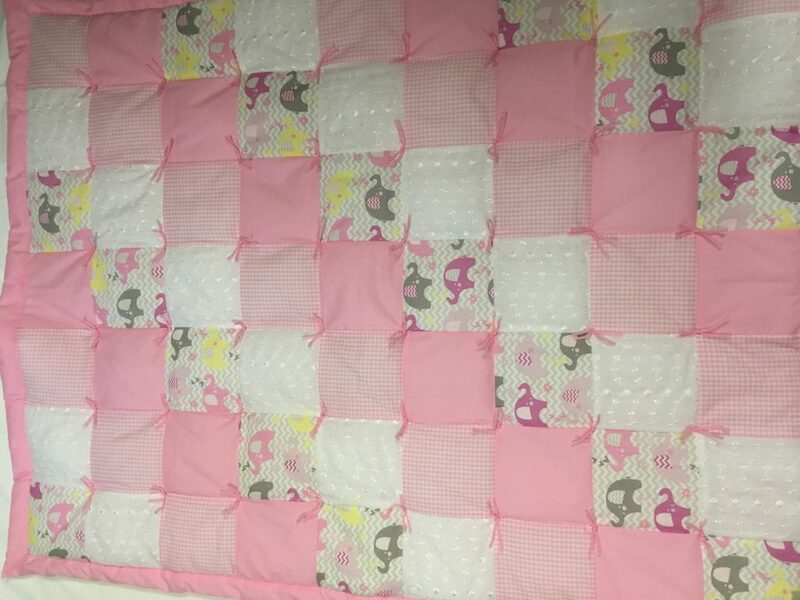 Filled with bonded poly filler. 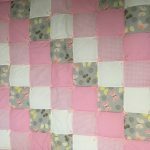 Machine wash and dryable.